Up to 40 minutes with 2 kg maximum take-off weight. 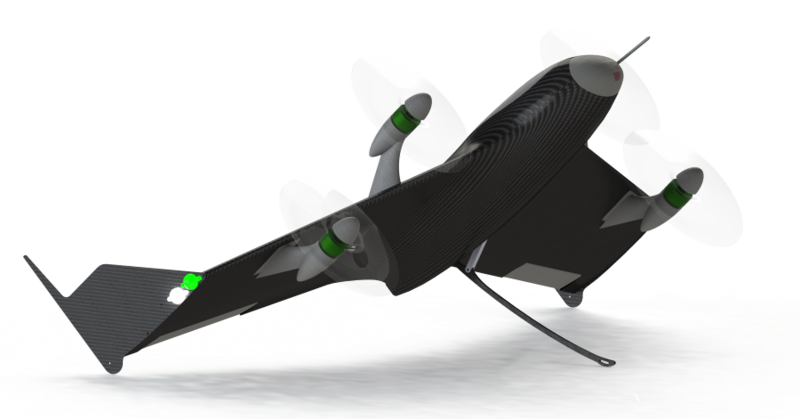 In fixed wing mode, the power consumption reduces up to 40% for an equivalent hovering system. Any mission that requires covering big areas, VALAQ will comply your strongest expectations. You can take-off and land anywhere, just like a regular multirotor. 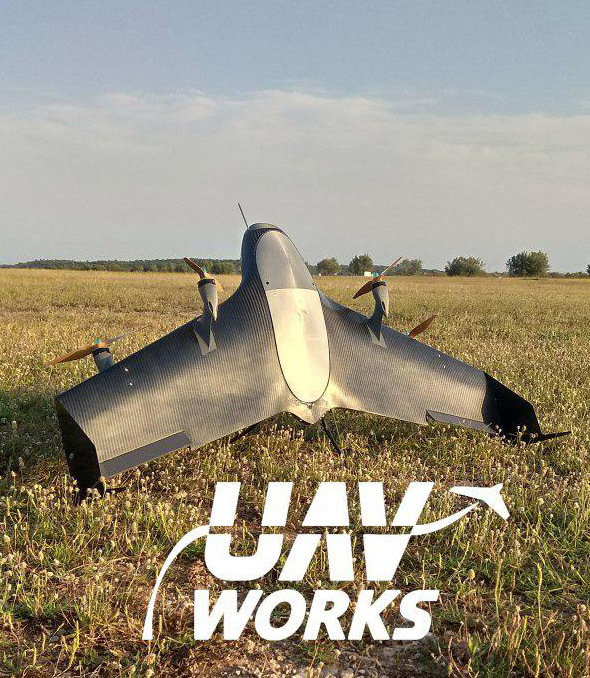 Its unique software control will perform the transition from multirotor to aeroplane mode and viceversa completely assisted and automatic. No extra complex infrastructure needed. Just place the VALAQ to its VTOL position and let its software makes the whole work. Don't worry about windy conditions. The more windy is, the more efficient the take of and landing will be. 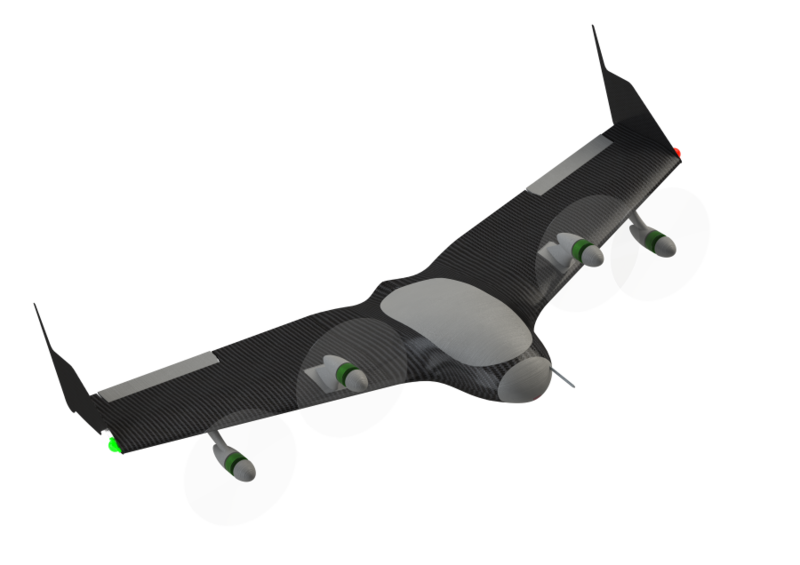 With strong wind the wing will start creating lift, what it means less energy will need to complete VTOL phases. Don’t worry about anything, the VALAQ can perform any mission in full auto mode, just prepare the mission, arm and command start mission. All sensors will do the job: • Laser altitude precision control. Up to 120m with 1cm resolution and 10cm precision. • Collision avoidance. The camera-based system rises the safety in any operation both manual and auto. • Precision take-off and landing. The infrared beacon-based landing allows to land within 5cm. *La versión SeaValaq está desarrollada con el objeto de que la aeronave pueda aterrizar de manera autónoma y asistida en un barco en movimiento, mediante un sistema de detección de la altura y del punto de aterrizaje automatizado para el mantenimiento del vector de aterrizaje durante el movimiento del buque usando dos sistemas: una baliza que emite imagen infrarroja y un laseraltímetro.